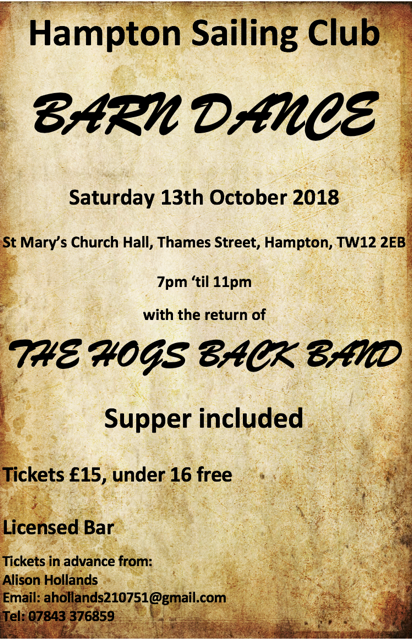 We have the return of the fantastic, lively Hogs Back Band for our biennial Barn Dance on Saturday 13th October. Guaranteed to get you all on the floor! A substantial supper is included. Licensed bar. No experience needed just come and enjoy! No pressure to partake in every dance! Tickets are limited and on sale now. Please let me know who you are purchasing tickets for. Payment details below the poster.